So the fuzz for the last couple of months is, what is Unified Gateway ? something revolutionary ? not really. 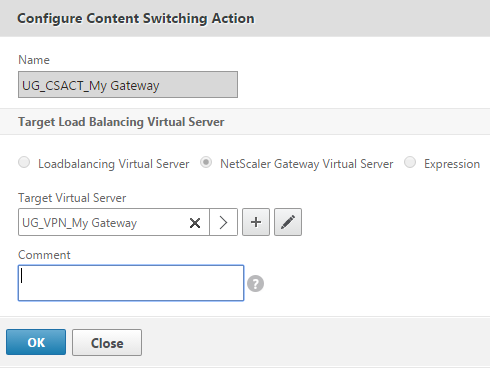 It is however a combination of features that the Netscaler already has and some of it has been rewamped. It is a combination of bookmarks, content switching rules and clientless access to be able to give users access to all their applications using a single URL. So how to set it up? 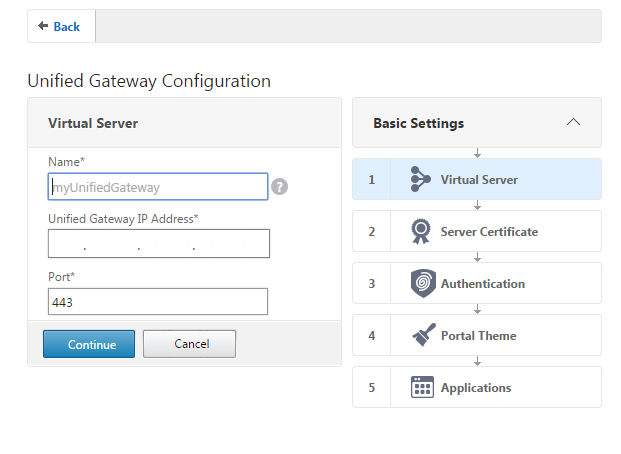 First head on over to the management GUI, you should have your own Unified Gateway wizard there. Next we choose a portal theme, from here now I can easily choose from my own custom created from a template or choose the built-in themes. Lastly we need to add our applications. 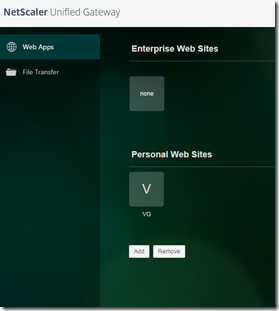 Intranet Application ( Intranet applications can be any internal network resident, web-based application which needs to be made available to VPN users. 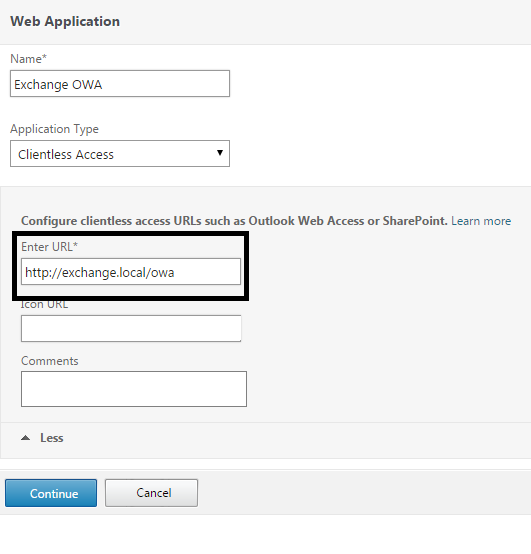 Clientless Access (NetScaler with Unified Gateway supports clientless access to Outlook Web Access and SharePoint web sites. The full URL for these sites must be specified. SaaS (Software as a Service) applications are usually externally hosted web based applications that require authentication. This might be a service such as ShareFile, SalesForce, SAP, or NetSuite. 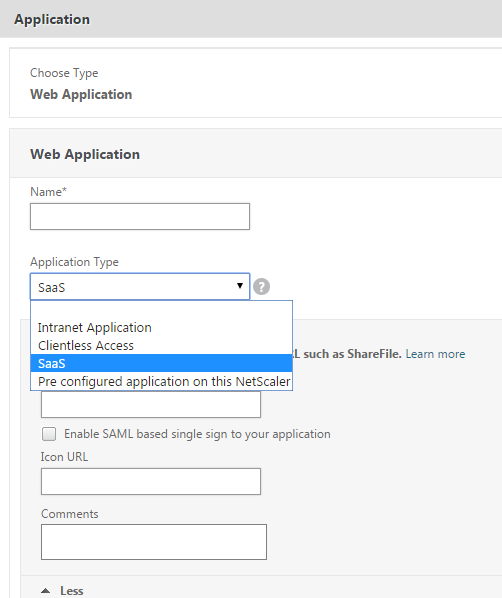 NetScaler with Unified Gateway supports access through the VPN for these applications and facilitates the user authentication process with single sign-on (SSO) through SAML where available. 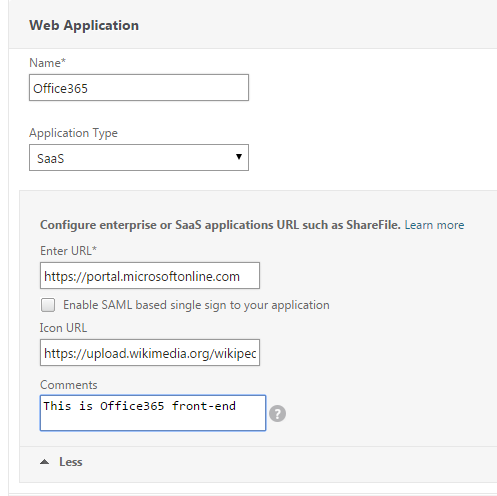 If the SAML SSO is required, a SAML profile must be configured. 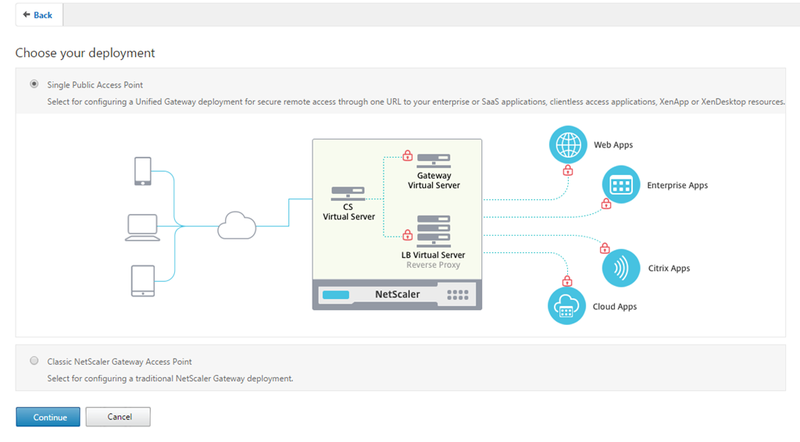 Unified Gateway supports VPN access to applications already configured locally as a NetScaler load balancing virtual server. 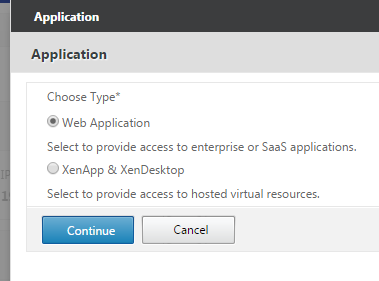 The application’s URL must be given, along with the virtual server configured with the application. The URL must resolve in DNS to the virtual server’s IP address. 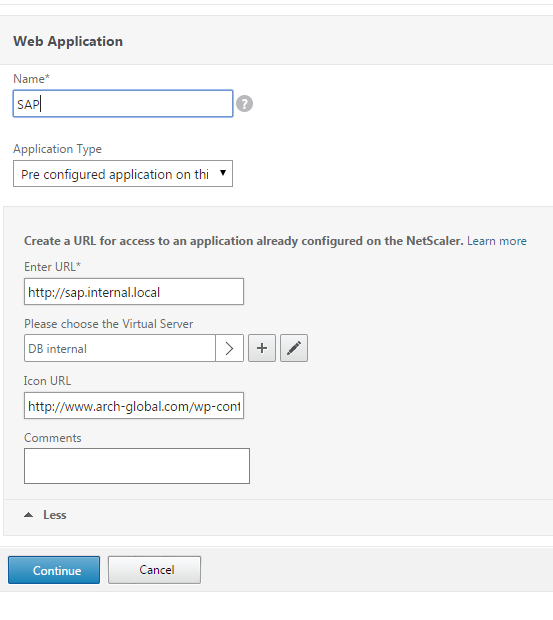 Note if you want this application to be configured with the NetScaler to provide single sign-on authentication, an appropriate authentication setting needs to be created on the virtual server. 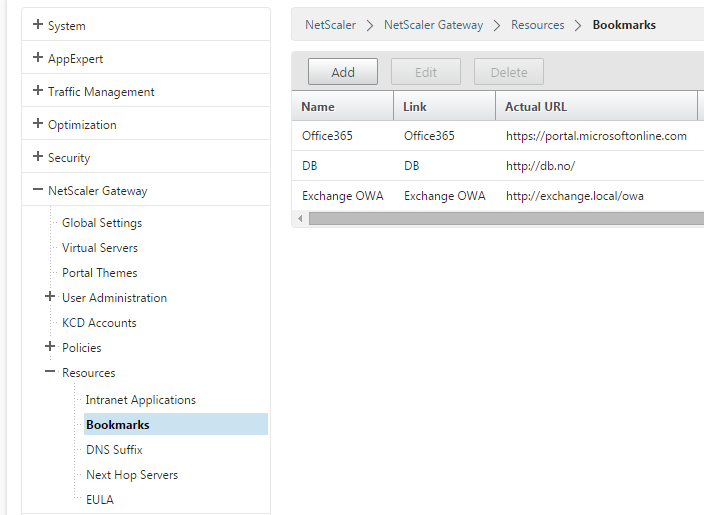 For instance if we were to add Office365 to the gateway, we also have the option to add SAML based authentication to the mix to allow for SSO based authentication from the Netsacler. Now if I want to have SSO here I need to have pre-configured the vServer with the right AAA paramteres. Now important here tha the vServer IP and the URL name resolves using DNS. And that the URL has a / at the end of the address. ← Is Microsoft on the road to becoming the next EMM leader?